Sometimes you have a band that feel like they are entirely yours. (This is no fun for the band who would like to belong to themselves but be liked by the world.) 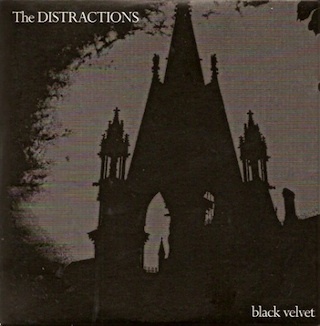 My band were The Distractions, and they felt like they were mine despite the fact that they'd made one of the great, great Factory singles, Time Goes By So Slow, despite the fact that they'd signed to Island Records when that was a cool, pre-U2 thing to do, and despite the fact that they were brilliant. Mike Finney was possibly the only great white soul voice of the punk and post-punk eras, Steve Perrin a brilliant songwriter and inventive guitarist, and the rest of the band were a unique blend of the spikey modernist pop of Buzzcocks and the more retro groove of Costello.